The Horse in Sport — An Irreconcilable Conflict? She who believes a horse must be dominated with the hand will never experience how wonderfully light a through, balanced horse feels, and how much fun he is to ride! For a large number of riders, the desire to compete is more important than the joy of training a horse. Training is frequently designed primarily to meet test requirements with the needs of the horse relegated to second place. one of the biggest threats to a traditional and time–tested training system may arise from the steadily growing economic interests of an ever larger number of people. Sponsors and promoters of equestrian events want to attract large, enthusiastic crowds. Breeders, in an effort to make more money, rush training because time is money. Even judges can be tempted to award crowd–pleasing spectacular performances over more technically precise riding. Heuschmann points out the consequences. Horses are forced to perform movements against their will by use of mechanical devices and rough riding. Many are broken in the process. Others perform well for a short time but quickly fade from competition because of resulting physical ailments. Racing and Western horses are ridden at two years old and must be top performers by three. Their sports career is often finished by age five or six. When the training is solid, is correct for the horse, and the demands are gradually increased, he has a good chance of growing old as an athlete. The rider who is thinking long–term will train her horse systematically over years, increasing demands slowly, so that she can ride the horse a long time and preserve his health. Heuschmann calls for a return to the concept of good horsemanship. Driving young horses to perform at a high level, thus destroying them early, contradicts the concept of horsemanship. This is true of all disciplines and calls for good basic training. Irrespective of the horse's breed or riding discipline, a supple riding seat and the natural balance of the horse must be developed before more advanced training exercises. When a horse ‘makes a mistake,’ it usually is the fault of the rider on his back, says Heuschmann. Learning to ride well takes time. The author points to this as a benefit. The beautiful thing about riding is that you always have more to learn, assuming you are ready to work on yourself and to examine yourself critically. It is not always easy to know whether an undesirable reaction, blockage or resistance in the horse stems from a lack of understanding, or if he's mentally or physically overtaxed, fresh, tired, feeling fear, reluctance, pain or something else. Still, one should try to evaluate the situation. When something doesn't work, ask yourself, Why? Have you used the right aids? Has the horse understood you? Was the exercise reasonable? Does the horse have a muscle cramp from yesterday or the day before? As a rider or trainer, you have the responsibility to present the exercise in a way that the horse can understand — and execute it. Heuschmann describes the importance of the traditional Training Scale in developing a strong, supple, and relaxed horse that responds to the gentle guidance of the rider. Rhythm, suppleness, contact, impulsion, straightness, and collection follow one another but are also interrelated. Each phase builds on the other but also improves the previous phases of training. For example, rhythm effects relaxation which increases suppleness which makes rhythm easier. Heuschmann also provides advice on how riders may help horses that have already developed problems from improper training and riding. This includes stretching exercises to help loosen tight muscles and various methods to help the horse relax. 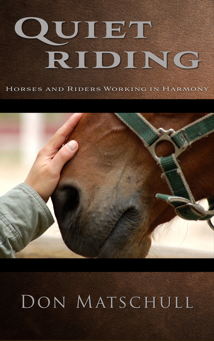 In his book Balancing Act, Dr. Gerd Heuschmann not only questions the conflict between efforts of reaching high goals fast in sport riding and proper horsemanship, he presents possible solutions. 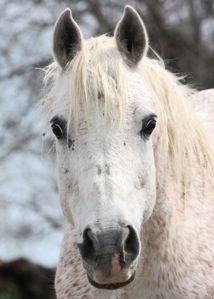 He calls for veterinarians to speak out against obvious horse abuse. He also calls for knowledgeable judges to help educate the public on the type of riding they should actually be applauding. A properly trained and ridden horse will be both happier and healthier. Such a horse will also provide a better partner for the rider. Buy Balancing Act: The Horse in Sport — An Irreconcilable Conflict?